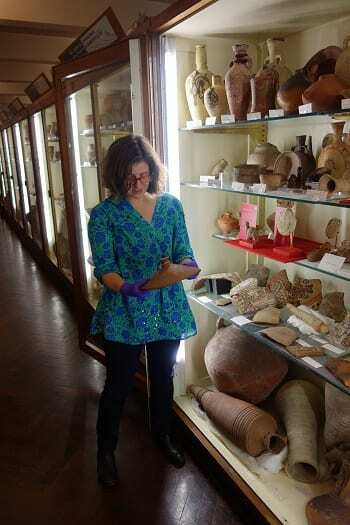 This is a guest blog by Felicity Winkley, one of the student engagers who work with UCL Museums. To find out more about the student engagers project please visit their website. Last term, the UCL Student Engagers used objects from across the UCL collections to curate a six week exhibition at the North Lodge, called Stress: Approaches to the First World War. The project, as we’ve discussed previously on our own blog, was an interdisciplinary, co-curated effort, approaching the topic of the First World War through four interpretive themes: physical stress, mental stress, cultural or societal stress, and stress on the landscape. One of the objects we chose to highlight the mental stresses caused by the conflict and, by association, the improvements in the way mental health was approached by the end of the war, was a ‘strobe machine’. 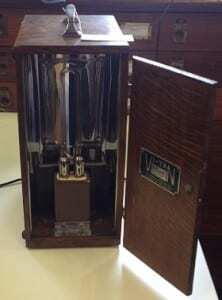 As part of the physiology collections, catalogued alongside objects like an auditory acuity tester and a set of keys for tapping multiple-choice responses, it was assumed that this light had similarly been used in psychiatric experiments to test participant responses. From our point of view, it also helped that it looked good. 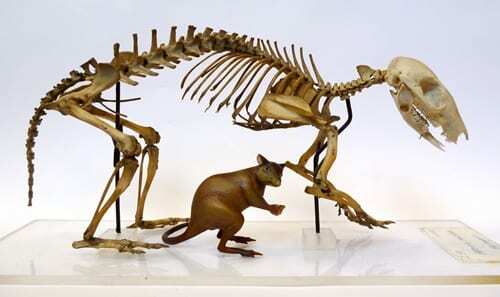 Have you ever seen something in a museum and suspect that the curators have got it wrong? 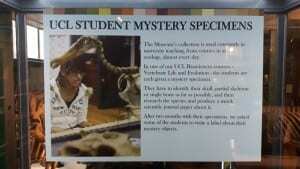 If so, I hope you haven’t been too shy to let the museum know. Speaking for the Grant Musuem at least, we love it when visitors add to our knowledge of the collection, and we don’t ask for “expert” credentials before hearing an opinion. Indeed, a 11 year boy spotted that a specimen labelled “marine iguana” was in fact a tuatara (a lizard-shaped reptile from New Zealand (that is in fact not a lizard)). 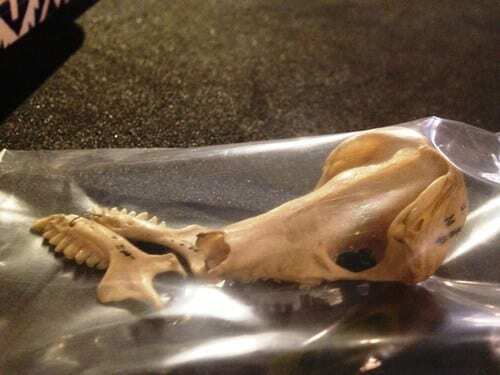 And couple of years back, a visitor noticed that our famous anaconda skeleton was in fact an African rock python. Some museums might be embarrassed by the idea that some of their objects have been mis-identified, but not us. In fact every year we give our UCL bioscience students the chance to challenge our identification as part of the fantastic “Vertebrate Life and Evolution” module. We have just created a display of “mystery specimens” identified by these students. 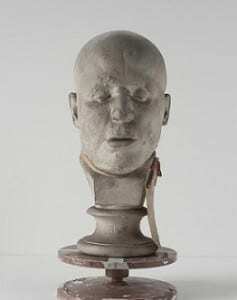 The Robert Noel Collection of Life and Death Masks – what we know now. Cast of a murderer – Noel Head 34 – Irmscher. The Robert Noel Collection of Life and Death Masks consists of 37 plaster casts made in Germany in the 19th Century. As the name suggests the plaster casts were taken of both the living and the dead, and were collected by Robert Noel (a distant relation of Ada Lovelace) to show the ‘truth’ of phrenology, which simply put was the study of the lumps and bumps in people skulls in the belief that this gave insight into a person’s character. 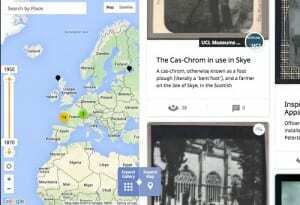 In this blog I aim to tell the story of the collection (as we know it now) and gather links to the various blogs, videos, articles that are available online. Enjoy! The shadow of Sir Francis Galton looms large over UCL. Francis Galton is the most famous and influential Victorian scientist you’ve never heard of. He coined the term eugenics and endowed UCL with his personal collection and archive, along with a bequest which funded the country’s first professorial Chair of Eugenics. Mahmoud Arif, a UCL student who attended “Why isn’t my Professor black?” questioned why, by holding this material and naming a lecture theatre after him, UCL appears to celebrate a known racist . 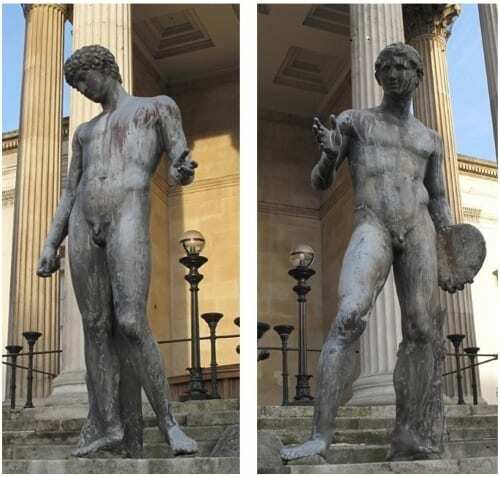 Another student, Adam Elliot-Cooper, began his speech at a student protest in the summer by pointing to the Galton Lecture Theatre, which itself was the venue for the first ‘UCL Faces Race’ event last year where Galton and his work featured prominently. 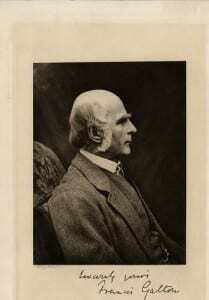 Francis Galton (1822 – 1911) British scientist, statistician and eugenicist.